This gorgeous piece of fused glass made from the late glass artist Rhonda Young, is so elegant and regal looking. 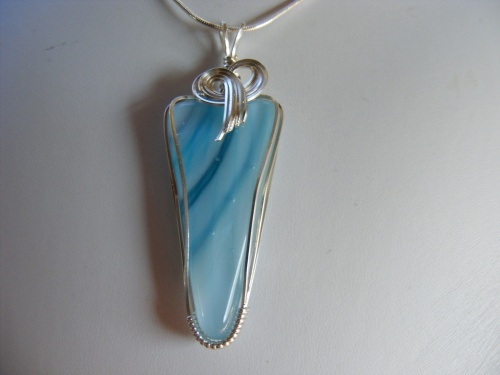 Different shades of aqua and, embelished with sterling silver curls. Piece measures 2 1/2" from top of bail to bottom and 3/4"wide. Comes with a sterling silver snake chain.